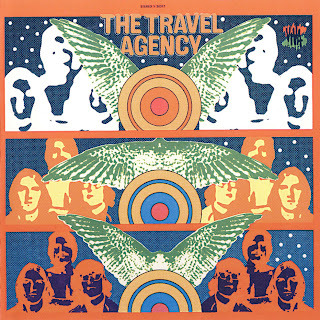 The Travel Agency formed in San Francisco and released their self-titled LP, produced by Bread's James Griffin, on LA's Viva Records in 1968. Drummer Frank (real name Francisco) Lupica joined a little later, prior to the LP. Lupica had previously been in Us, a Bob Segarini-led garage band who'd recorded for the Autumn label in 1965 but whose sole 45 was not released due to a dispute over arrangements between Segarini and the label they split soon after and Segarini went on to lead a succession of more successful bands (Family Tree, Roxy, Wackers). Side One is the stronger; the haunting and stately neo-prog keyboard intro which blossoms into the poppy What's A Man, strong fuzztone on Cadillac George, and gentler love songs Lonely Seabird and So Much Love. 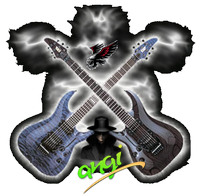 There are fast commercial rockers (Make Love and Old Man) and catchy pop (That's Good). Perhaps because of this diversity and the lack of band identity, thanks to the absence of any member info or credits, the album was overlooked and remains underrated. Steve Haehl and Frank Lupica reappeared a couple of years later in Shanti, whose eponymous Eastern-influenced LP was released in 1971. Two tracks thereon were composed by non-member Mike Aydelotte, aka Michael Sage when he was in Travel Agency. Lupica went on to a solo career and, billed as Francisco, performed one-man shows all over California playing numerous exotic instruments including a self-built electrified I-beam; adorned with keyboards and other devices, he dubbed it the Cosmic Beam. In 1976 he released his proto-new age LP, Cosmic Beam Experience. in 1979 he was sound effects creator for Star Trek The Motion Picture; and in 1998 his music was used and sampled in the film The Thin Red Line. He played viola the Deep Song CD by Ranee Lee. by Max Waller with thanks to Jeff Jarema. όμως με τις πληροφορίες οι Travel Agency ηταν από το 1966 υπό το όνομα Act III. του δίσκου. Το υπνωτικό και βέβαια ψυχεδελικότατο Lonely Seabird. Ένα killer ασμα χωρις σχόλιο. ομορφότερα κομμάτια και ξεχωρίζει το You Will Be There.